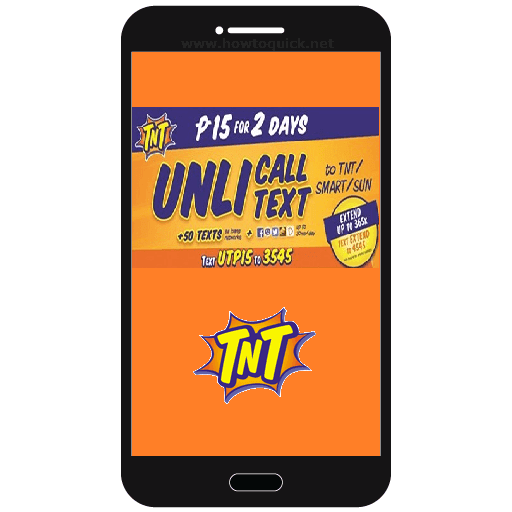 The new TNT UTP15 prepaid promo lets you enjoy unli call and text to Smart/Talk N Text/Sun Cellular. There's also an additional services added that you can use to connect the internet using Facebook app and all-net texts. This latest promo cost you only 15 pesos that is good for 2 days of unlimited calling and texting with all your friends on the mentioned networks. This also gives you extra free 50 texts to all networks that you can use to send special messages to Globe, TM and ABS CBN Mobile subscribers. But wait, there’s more, you’ll also given added services for internet browsing using your Facebook , Twitter, Viber, Clash of Clans and Dubsmash worth 30MB per day. To subscribe, all you need to do is reload your TNT prepaid account, then text the keyword to a specific given access number. You'll receive an SMS notification that will inform you if your registration is successful or not. Just text UTP15 send to 3545. See all latest Talk N Text (TNT) Promos. You can also enjoy added days up to 365x or extended UTP 15 validity by subscribing to their Extend A Promo. Registered ka na sa UTP 15: 2 days unlicall & text to TNT/Smart/Sun + 50 texts to other networks + free 30MB Viber, FB, &Twitter! Access thru apps & browser. To call, dial 11-digit #. Just directly dial the 11-digit Smart/TNT/Sun mobile number of the person you are trying to call. For Talk N Text load retailers, they can text UTP15 (space) 11-digit TNT mobile numbers, then send to 4577 when selling this promo. For updates you can visit their website and social media pages or you can ask your nearest load retailers for availability. Tinry ko to kanina but ang sabi not available on my current location. Srsly? Bt d ako makaregister sa promo na to ngayon? Nung isang araw nkaregister pa ko e.
I love this promo from talk n text. I've been using this one for quite sometimes now in fact I've been using this since talk n text started this promo. Only thing is if you want to extend your validity you have to text EXTEND everyday to 4545 and that makes it hard for a subscriber to do especially if they have work and often times they tend to forget to extend. If talk n text could only do something about the extended policy, like having to extend for 30 days for just doing one text registration to 4545 that would be a great ease for a subscriber like me. jerwin santos is right, load 50 peso and register utp15. then register the remaining 35peso load to extend promo. so that you will have 2 days utp promo and 7 days extend promo. theres good and bad thing about extend promo. the good thing is when u xtend for 7 days (without a cut) u will be given reward. option 1 is unli text trinet, 2 is 100mins call trinet, 3 is unli fb/twitter (all valid for 1 day). sad thing is when u register to extend promo, the 50peso text to other net will be invalid. what do u dial to make a call? Ano ba yan bat di ako makapagregister!!!! Pwede siya sa Bohol pro ndi pwede sa Tagum? Bakit? Nkregister n nga ndi nman mgamit ung call.. anu b yn pakiaus ng system. bakit ganun? pinutol ang promo subscription ko tonight. unlicall 'to diba ? I need ur help.. Plss. All I want just to 2 to 3 days unli call promo nothing else ...wala na pong iba ayun lng po...! para mas makamura ..! tnx sana makareply po kayo agad..! nagpa reg ako sa UTP15 send to 3545 unlicall/unlitxt daw bakit ag reply nka regester kana sa GaanUnlitxtPlus 15 (unlitxt+15mins call to TNT/smart)....anu to kalukuhan..? Bakit hindi po ako maka connect sa sun cellular na network, eh nag-register naman ako sa UTP 10 na sabi sa promo ay may 50 mins. of call sa TNT,SMART, AT SUN pero nang sinubukan kong tumawag doon sa ate ko na gumagamit ng sun cell. Ndi maka-connect? Bakit po tuwing nagpaparegister ako sa UTP15 or UAT15 palaging srvc temporarily unavailable yung reply saken ng TNT?? Bkt yan lang po lmlbas? Waaaah! Bkt d na ko mkaregister sa promo na to?? totoo ba talaga to, syang eh, retailer kami baka magreklamo ang customer ??? paano po mag load nito (UTP15) via retailer po?? why, nganu ,bakit ...cge lag ka service not available ? bakit service unavailabe na? tapos naba tong promo na to?? Pag nagpaload kayo sabihin nyo UTP15 meron nman diretso promo, ngpapaload kasi kami npaunta lang ako sa *343# tapos hinahanap ko promo dun para iload sa customer..ok nman..